Three years ago in this space, we celebrated Paul McCartney’s 70th birthday with a brief look back at the period between June 18, 1968 and 1969, a stretch that straddled the Get Back/Let It Be sessions that we explore here. On the occasion of the diamond jubilee of John Lennon’s birth, we’ll do the same thing people have done for more than 50 years: compare John and Paul, and as usual, with much different results. Smile, John, it’s your birthday! Forty-seven years ago today — October 9, 1968 — was John Lennon’s 28th birthday. The Beatles were primarily in the mixing stage of the White Album. John was in the midst of a divorce with Cynthia. Nine days later — there’s that number that follows John around — he and Yoko were victims of a drug bust at their home as they were handling the difficult release of Two Virgins. In the coming months, the White Album was completed and released, the Beatles assembled in January 1969 for a monthlong writing and recording session and they subsequently recorded and completed Abbey Road (along with other songs, like John’s “The Ballad of John and Yoko,” a No. 1 hit). Those achievements fell in the same period as between Paul’s 1968 and 1969 birthdays. So what’s different for John and in the time frame that’s shifted by four months? Yoko, obviously, and her dramatically increased role in John’s life, replacing Paul as his primary collaborator. It wasn’t just her, but what she enabled John to be willing to do. John with Yoko creating their own art and performance outside of the Beatles — bed-ins, experimental music, films, publications — all things that grew from being an outlet away from the band to becoming a full replacement for the band that Paul was expending his energy to keep together and internally manage. Like John and Yoko, Paul got married, too, and started his own life with Linda, increasingly spending time at his farm in Scotland. The Beatles were his band. All of the Beatles by this point had their own lives, marriages, projects outside the band. For John, the Beatles had become the outside project in a wildly tumultuous period coinciding with his divorce, his immersion into Yoko, a use of harder drugs and a willingness to move on past Paul. All the factors are related. This may not have been John’s greatest period as a pop music songwriter, at least in volume, but given the variety of artistic pursuits and chances he was willing to take — including the biggest one of all, replacing Paul with Yoko — it was a remarkable period in John Lennon’s career and life. On August 28, 1969, Linda gave birth to Mary, Paul’s first child. 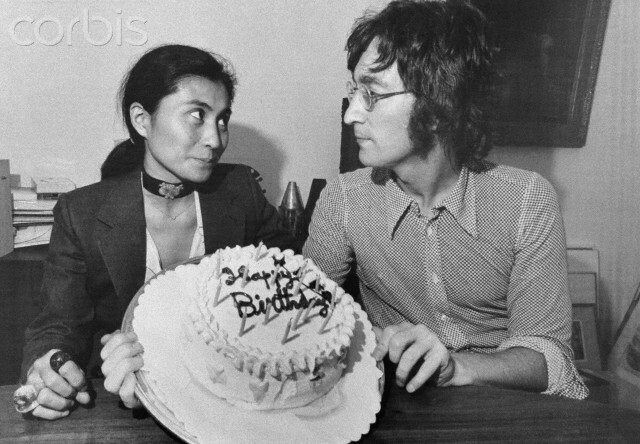 On October 9, John’s 29th birthday and the end of the period we’re recalling here, Yoko miscarried. They would have their first child together, Sean, exactly six years later, on October 9, 1975.